April 23, 2018 lowpricebooks 013335203X, Allied Health Professions, Robert E. Owens Jr.
013335203X – Introduction to Communication Disorders: A Lifespan Evidence-Based Perspective (5th Edition) (Pearson Communication Sciences and Disorders) by Robert E. Owens Jr. Note: This is the bound book only and does not include access to the Enhanced Pearson eText. To order the Enhanced Pearson eText packaged with a bound book, use ISBN 0133783715. 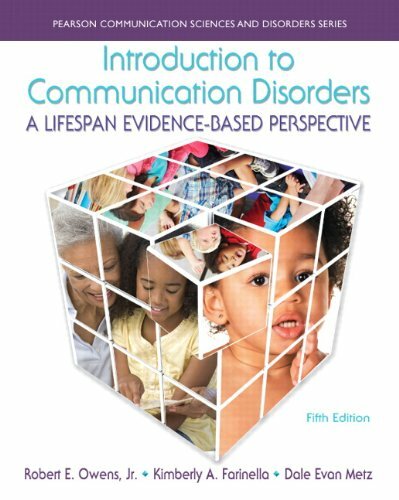 The new Fifth Edition of this clear, comprehensive introduction to communication sciences and disorders continues the evidence-based, lifespan perspective as it reviews and explains the most recent research evidence pertaining to the assessment and treatment of communication disorder from birth through the end of life. In it, students gain a basic foundation in the areas of anatomy and physiology of the speech and hearing mechanisms, and an overview of the various disorders that affect voice, fluency, articulation, language, cognition, swallowing, and hearing, along with detailed descriptions of the varying etiologies that cause these impairments. The authors describe specific evaluation procedures and tools for each disorder, and discuss efficacious management approaches and techniques for both child and adult populations. Case studies, evidence-based practice summary boxes, video examples, technical and photographic illustrations, and Check Your Understanding and thought questions are featured as a means to maximize the student’s learning experience.The Enhanced Pearson eText features embedded video, assessments, and internet resources. Introduction to Communication Disorders, 5/e is also available as an electronic eText; updated throughout to reflect the current state of clinical research, and updated to align with ASHA’s new 2014 standards pertaining to voice and resonance disorders; completely reorganized into few chapters; and further revised to improve readability and simplify background information on subjects normally covered in other introductory courses. Author: Robert E. Owens Jr.